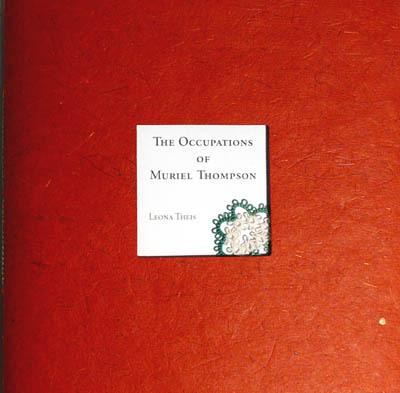 Muriel Thompson (a.k.a. Phyllis Theis) is a survivor, though she’d rather the world didn’t expect her to work so damn hard at it. The stages in her life are chronicled through a series of occupations, from amanuensis to terminal cancer patient. The second of Muriel’s occupations is lacemaker. 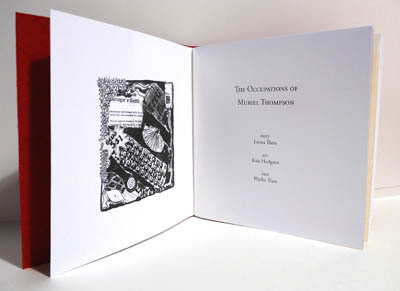 Stitched to the cover of each copy of the chapbook is a lace floret from a larger piece made by Phyllis Theis.